When mentioning the rich specialty foods of Yorkshire, for most people, the first thing that comes to mind is Yorkshire pudding. But after spending any length of time in Yorkshire, you will soon find out that Yorkshire pudding is just a starting point for a variety of delicious local food choices. 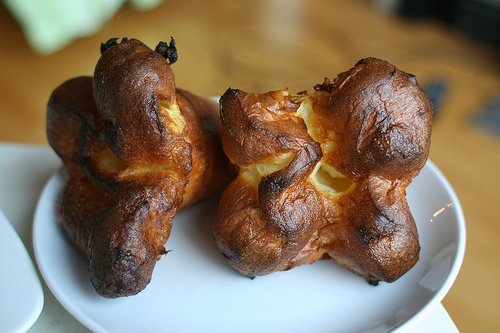 Below we will explore some of the specialty foods of Yorkshire, starting with the famous Yorkshire pudding. Made of a savoury batter of flour, eggs and milk, this dish originated in North-East England. Historically, the batter was kept underneath meat roasting on a spit, allowing meat and oil drippings to add flavour to the batter. When dinner was served, if there was not enough meat to accommodate the number of diners, then children would instead be served this batter which came to be known as Yorkshire pudding. Today, this batter is made and served as a side dish for meat and vegetables, comprising a traditional Sunday dinner. The town of Wensleydale in Yorkshire is known for their famous, unique-tasting cheese. There are five different main types of Wensleydale– mild, matured, extra matured, blue or cold-smoked—although other varieties exist. 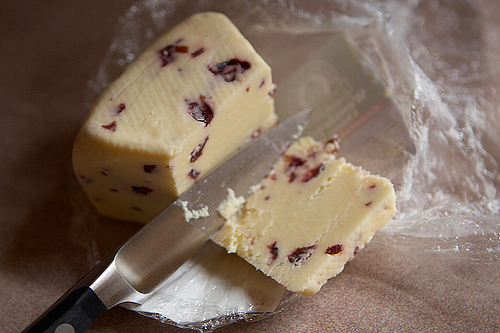 Because of its hint of honey flavor and acidity, Wensleydale cheese is best paired with sweeter fare such as fruit. Yorkshire is so well-known for rhubarb production that a nine-square-mile area of the county is known as Rhubarb Triangle. 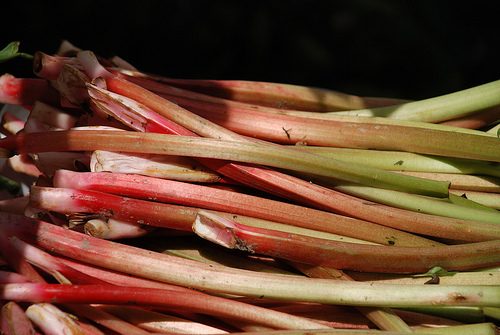 The rhubarb plant’s stems are boiled in sugar and used for everything from jams to pies to compotes. A food, drink and rhubarb festival occurs every year in Wakefield. First made in the mid 1700s as an alcoholic drink, ginger beer is similar to ginger ale but infused with a more spicy ginger taste. 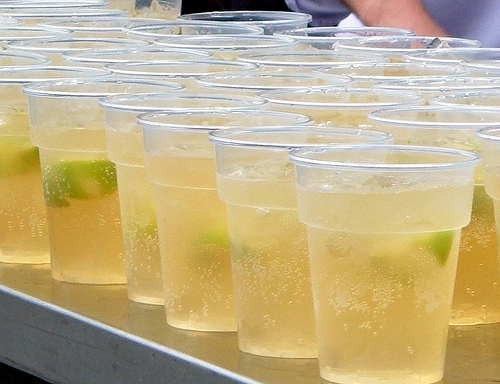 Currently most ginger beer beverages are non-alcoholic so that anyone can enjoy them. 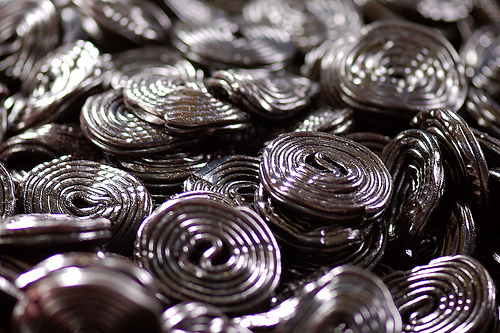 Once used only for medicinal purposes, liquorice is now sweetened and recognised as confectionery (often known as ‘licorice’). A celebration of Pontefract, the person responsible for sweetening liquorice, is held at the annual Pontefract Liquorice Festival. 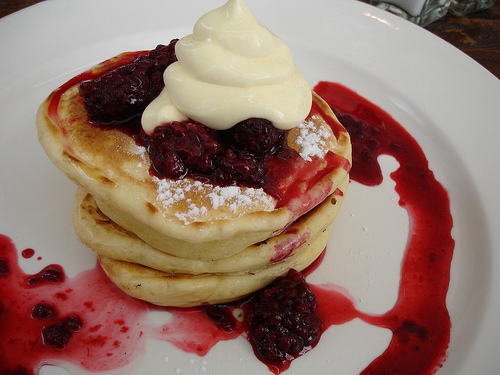 Some people refer to pikelets as “flat crumpets” or “think pancakes.” These fluffy breads have a similar taste and texture as crumpets, but with many regional variations. 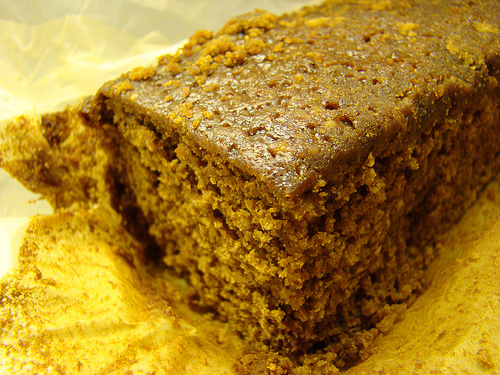 Another item that uses ginger is parkin, a cake of butter, honey, flour, oats, treacle and ginger. Traditionally, this cake is made to be served around Guy Fawkes Night. If you are looking for new culinary adventures, why not try some specialty cuisine from Yorkshire? This entry was posted in Food, Yorkshire Dales Food and tagged england, Food, foods, speciality, Yorkshire. Bookmark the permalink. This is a great article with some good old Yorkshire fare. 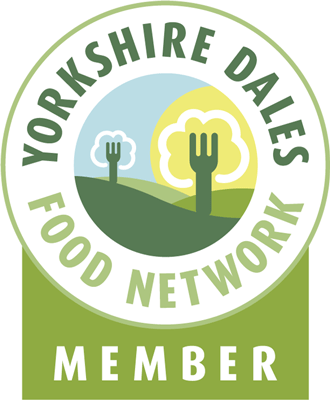 It really make me proud to see how much good food we have in Yorkshire! Don´t forget the beers of Yorkshire; Smith´s Brewery of Tadcastle still makes Stingo Beer which is a very old type of draught beer. In my copy of, “Don Quixote” by Cervantes published in 1892 it is mentioned as being drank by Cervantes in the wilds of La Mancha! Perhaps, Charles Jarvis, the translator of the book enjoyed a bottle or two on the train down to London from Yorkshire when he went to see the publisher. My family has been in the US since colonial times, but the Lees were originally from Yorkshire. I do hope to visit someday. Right now I am preparing to visit a cousin in Atlanta who is researching family genealogy, so I thought I would bring some Yorkshire foods and recipes with me when I come visit. Your article is guiding me to some excellent food possibilities! Thank you. What, no mention of the good old Barnsley Chop, you’ve got to have your meat, and don’t forget Black Puddin’s either.